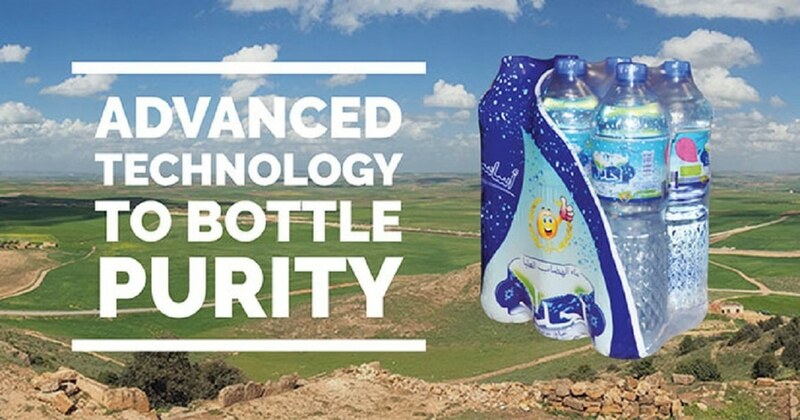 Near the village of Tousnina, not far from the city of Tiaret in Algeria, flows the spring water of Lejdar bottled by the company Tousnina Sarl. The name "Lejdar" derives from the archaeological site of the same name located in the area of the spring, where you can visit important Berber mausoleums from the Roman era. 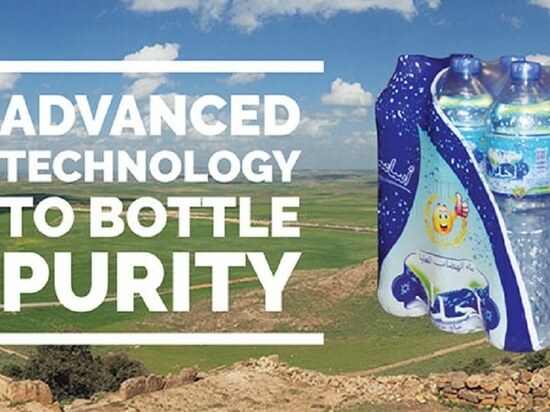 For the bottling and packaging in PET bottles of the natural spring water under the Lejdar brand Tousnina Sarl turned to the experience of SMI, which supplied a complete turnkey line of 20,000 bottles/hour and supported the customer during design, construction and installation of the plant. 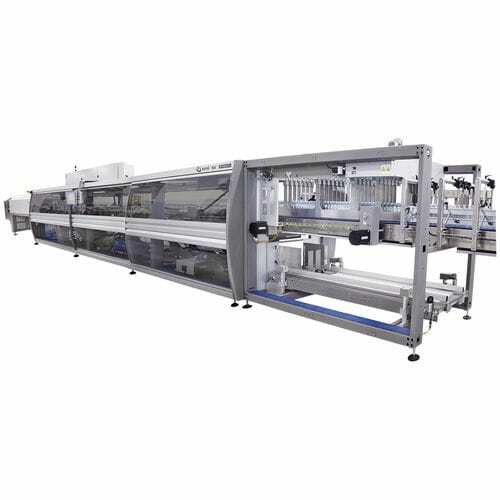 All the machines installed in the new line are part of the ERGON range, which uses the most innovative technologies in the field of Industry 4.0 solutions. 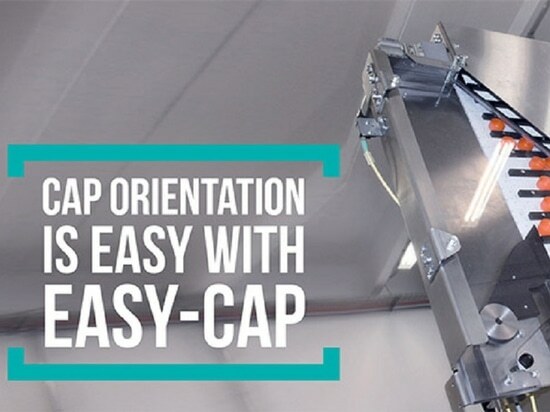 The new installations respond completely to the growth expectations of this Algerian company, which has invested exclusively in latest generation systems to increase its production capacity. 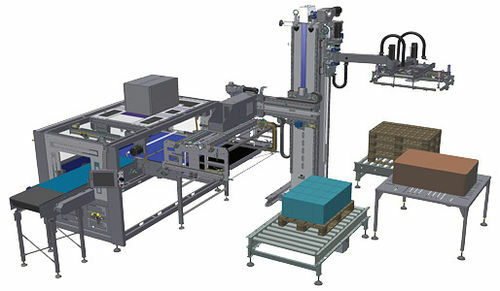 The solution installed consists of an ECOBLOC® ERGON series' integrated system for stretch-blow moulding, filling and capping of PET bottles along with an SK ERGON series' shrink wrapper for the secondary packaging, a HA 80 handle applicator, a PACKSORTER pack divider-sorter and an APS ERGON series' palletizer. 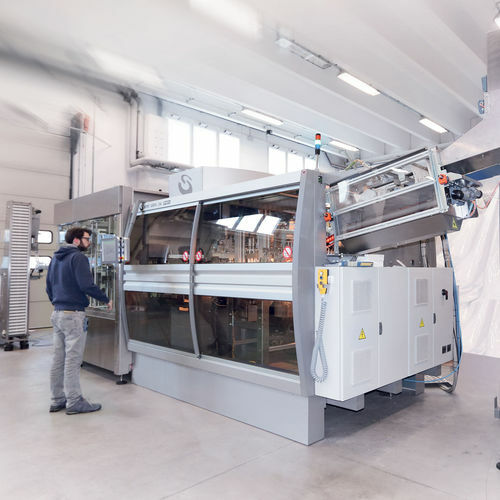 The whole plant is equipped with an automation and control system of the latest generation incorporating the best technologies for the management of a "smart factory." 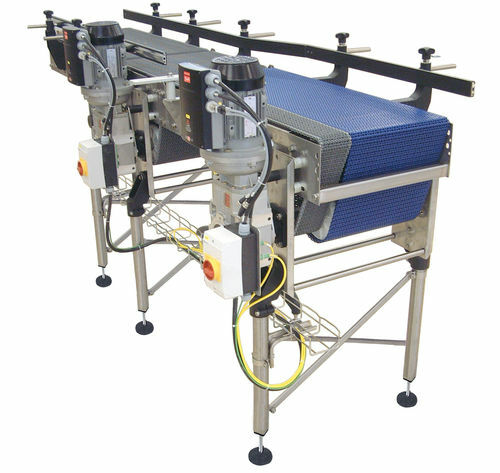 • fluidity, speed and reliability: the conveyour belts system allows the fluid and continuous handling of loose and packed containers; furthermore, short format changeover times ensure the fast switch from a production pattern to another, while the machine's structure and components in AISI 304 stainless steel are synonymous with a reliable and long-lasting plant. 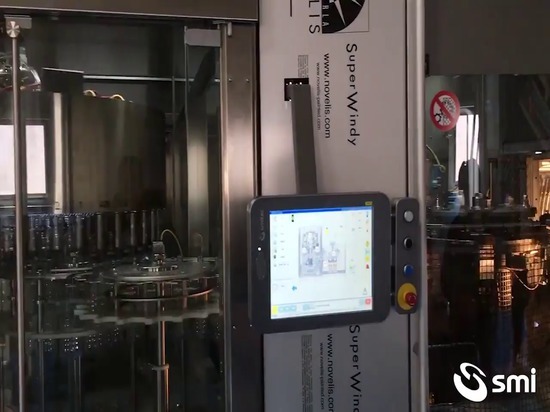 If you need further information on Tousnina Sarl and the benefits offered by SMI complete lines you can read the last issue of our SMI NOW magazine or get in contact with our Sales Department. 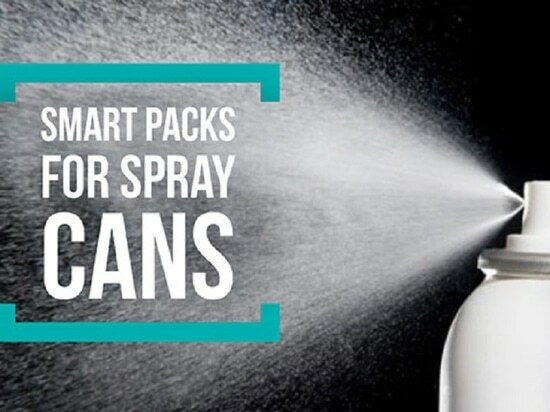 The fruit colours... from the fields to the packs! 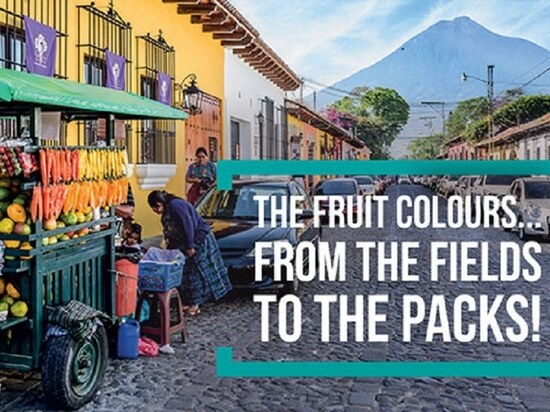 The fruit colours... from the fields to the packs! 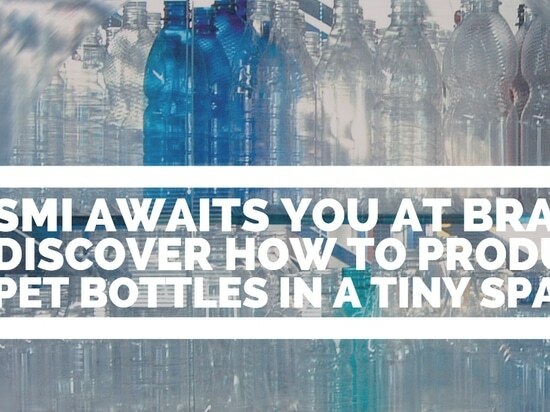 Discover how to produce PET bottles in a tiny space! SMI awaits you at Brau! SMI awaits you at Brau!